What do you get when you combine roller derby, motocross, and basketball? You get rollerball, and in the year 2018, it’s all the rage. 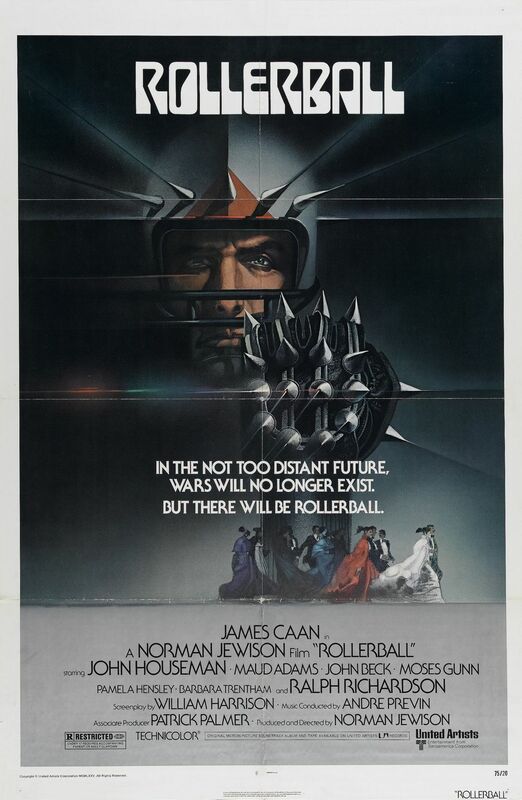 What Babe Ruth was to baseball, Jonathan E. (James Cann) is to rollerball. It’s a brutal, often deadly, game that Jonathan has managed to be on top of for the past ten years. To honor Jonathan’s achievements, Bartholomew (John Houseman), head of the corporation that controls the rollerball team he plays on, announces there will be a television special dedicated to his outstanding career. There’s just one catch — Bartholomew wants Jonathan to use the special to announce his retirement. Jonathan has absolutely no intention of retiring and he can’t find out why they want him to retire so badly. In this society, the whole world is run by corporations and the corporations want to manipulate everybody. What Jonathan doesn’t know is that rollerball was created by these corporations as a way to show how futile individuality is and Jonathan’s continued success at the game completely defeats its intended purpose. When Jonathan refuses to announce his retirement on the TV special, the corporations start changing the game to make it more and more dangerous, hoping he will either step down or be killed. No matter what the corporations throw at him, Jonathan still won’t back down, even when the game becomes extremely deadly. I didn’t think I would like Rollerball very much, but I was surprised by how much I enjoyed it. It’s an intelligent science fiction/action film, very heavily influenced by George Orwell and Stanley Kubrick’s A Clockwork Orange. The use of music is quite haunting and the action scenes are excellent; James Caan was best in the game scenes. It could have stood being a little bit shorter, but I’m very glad I decided to check this one out. Pat Pemberton (Katherine Hepburn) is a first-class athlete, but you’d never know it if she’s playing while her fiance Collier Weld (William Ching) is around. Whenever he’s nearby, he makes her so nervous that she just can’t play as well as she normally would. One day, she and Collier go golfing with Mr. and Mrs. Beminger. Collier is hoping to get Mr. Beminger to make a large donation to Pacific Tech College, so he asks Pat to be Mr. Beminger’s partner and tells her to do her very best so he’ll win. Of course, the pressure makes her a nervous wreck and she doesn’t have a good game. When she gets tired of Mrs. Beminger giving her unsolicited golfing advice, she makes several perfect drives all in a row and storms off. Collier isn’t impressed, but Charles Barry (Jim Backus) sees her real talent and convinces her to enter a tournament. Pat quickly becomes one of the top players in the tournament and she catches the attention of Mike Conovan (Spencer Tracy) and his assistant Barney Grau (Sammy White). Mike wants to become her manager and when he first approaches her about it, she turns him down. As the tournament continues, she does very well and nearly had it won it until Collier showed up and ruined her concentration. As they get on the train to go home, Pat and Collier get into a fight which makes Pat decide to take Mike up on his offer. After getting to know Pat better, Mike is surprised to learn that she’s actually pretty new to golfing and that she’s even better at tennis. Under his guidance, she becomes a famous tennis player, but she still can’t play well if Collier is around. When Collier causes her to lose a big match, Mike and Collier get into an argument, but Pat is getting tired of being treated like a piece of property. But despite that, Pat continues training with Mike and they begin to fall in love with each other. When Mike runs into some trouble with some gamblers, Pat helps him out by beating up the gamblers, which makes Mike admit he’s having a hard time dealing with a woman stronger than he is. Collier hasn’t given up on Pat yet, though, and when he accuses her of having an affair with Mike, she lets him believe it. With Collier finally out of the picture, Mike realizes he needs Pat just as much as Pat needs him and together, they’re unstoppable. Of all the movies Katharine Hepburn made with Spencer Tracy, Pat and Mike was her personal favorite of the bunch and it’s easy to see why. Hepburn was always a very athletic woman and she clearly enjoyed being able to show off her golfing and tennis skills alongside real-life female athletes like Babe Zaharias and Gussie Moran. As always, Hepburn and Tracy were delightful to watch together and Tracy has just as much fun as Mike as Hepburn had as Pat. Simply, it’s just a nice light-but-smart romantic comedy. Even if you’re not a big fan of sports, Pat and Mike is still extremely enjoyable. 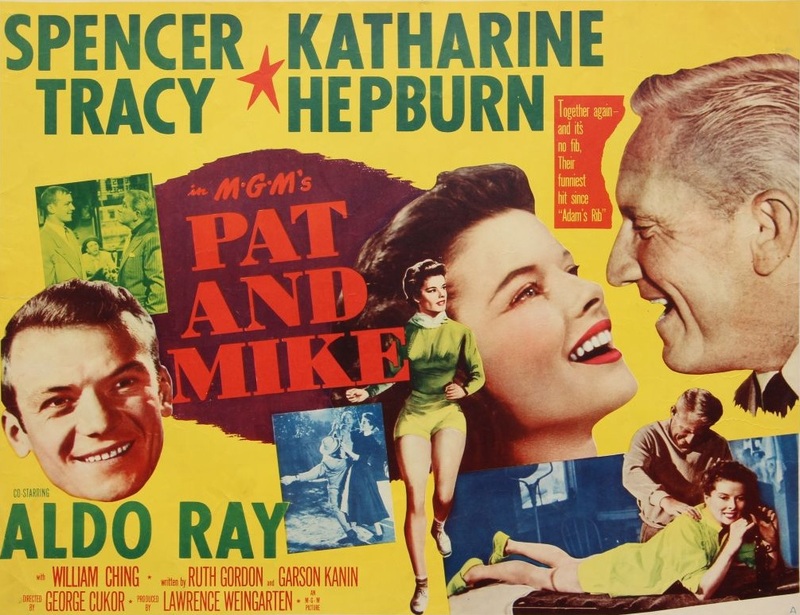 If I were to rank my favorite Tracy/Hepburn movies, I’d say Pat and Mike is my second favorite, right behind Adam’s Rib. 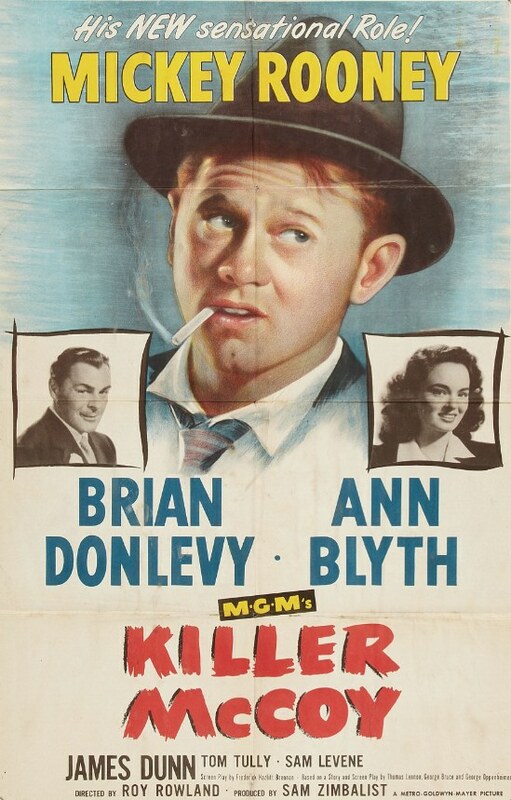 Danny Kenny (James Cagney) isn’t a man with big dreams. He likes working as a truck driver, he’s got his girlfriend Peggy (Ann Sheridan), he’s got a roof over his head, what more could he want? Well, he could use some extra cash so that he can send his musician brother Eddie (Arthur Kennedy) to music school. To get the money he needs, he starts participating in boxing matches. He’s a great boxer, but he doesn’t want to make a career out of it. Peggy, on the other hand, has loftier ambitions. She loves to dance, and when she meets fellow dancer Murray Burns (Anthony Quinn), it’s immediately clear that they make great dancing partners. They keep entering and winning dance contests around New York, and when they have the chance to get into the vaudeville circuit, she can’t resist the opportunity and leaves Danny behind. Danny decides to make something of his life and starts pursuing boxing more seriously in the hopes of winning Peggy back. Danny fights his way to the top, and when he’s in the same town for a fight as Peggy is for a show, he goes to see her. She still loves him and they decide to get married as soon as her tour is over. But when she gets another big opportunity, she’s in a position where she just can’t say no. Danny becomes even more determined to win her back, and when he’s fighting for a championship title, he refuses to give up, even when his opponent puts rosin on his boxing gloves and blinds Danny by rubbing the rosin in his eyes. City for Conquest is exactly the type of movie you think of when you think of Warner Brothers. 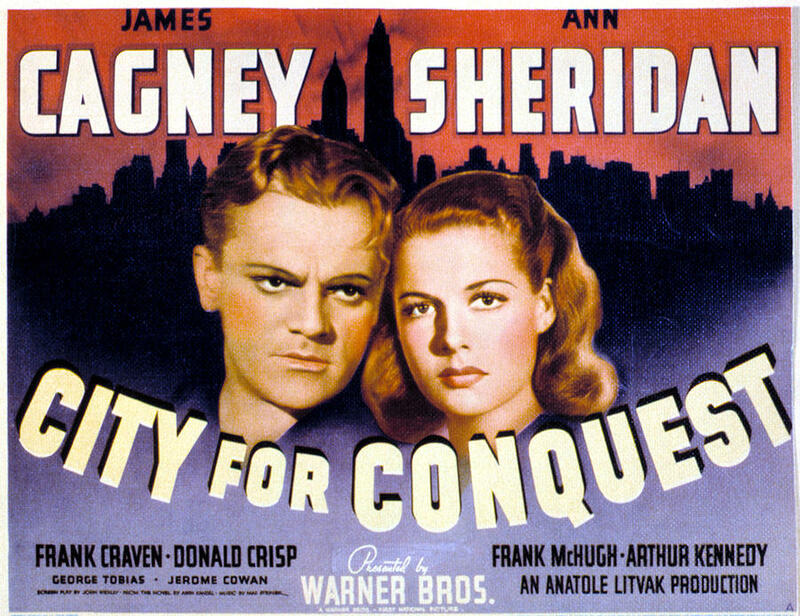 It’s tough and gritty, it’s got James Cagney in top form, and it’s even got some songs you’ll recognize from other classic Warner Brothers hits such as 42nd Street and Gold Diggers of 1933. Anthony Quinn was perfectly slimy as Murray and it was really interesting to see Elia Kazan in one of his few acting roles. It’s not the same caliber as The Public Enemy or Angels With Dirty Faces, but it is pretty enjoyable. For my money though, Ann Sheridan was a big scene stealer. She did such a good job as Peggy, especially in the scene where she comes back to her hotel room and finds Murray and their manager waiting to tell her about their new big deal. It’s easy to see Peggy as nothing more than an ambitious woman, but I think she’s more complex than that. Peggy’s got a dream and when she and Murray started to make it, of course she got stars in her eyes and gladly said yes to anything that she thought would make it happen. But then she found out the man she trusted to help her is a controlling, abusive monster. She wanted to get away from him but was deeply conflicted between wanting to leave him and not wanting to give up on her dream. And then when she finally does get away from him, she ends up broke because she made the mistake of letting Murray control all the money. They could have done an alternate version of this movie told from Peggy’s perspective and it could have been pretty interesting. While at a bar one night, boxing manager Edwin J. Bennett, AKA: Professor, (Walter Huston) sees sailor Steve Morgan (Max Baer) knock out a couple of drunks. The Professor sees that Steve has the potential to be a great boxer and convinces Steve to let him train him. While the two of them are jogging on a country road one day, another car rolls over into a ditch. Steve goes to help and pulls singer Belle Mercer (Myrna Loy) out of the wreck. He takes her to a nearby house and makes sure she’s okay. To repay the favor, Belle agrees to go to one of Steve’s fights. Steve is quite infatuated with Belle and is thrilled when she comes to see him, but he soon finds out that she’s the girlfriend of gambler Willie Ryan (Otto Kruger). That doesn’t deter him from pursuing Belle, though. He keeps on trying and eventually he wins her over and they get married. News of their marriage comes as a shock to Willie, but he vows to kill Steve if he ever does anything to hurt Belle. Belle is a very devoted wife and does everything she can to support Steve’s career, but he isn’t as dedicated to her. As his career rises, his ego spirals out of control and he starts seeing other women. She knows what’s going on and after catching him in a lie, she tells Steve that if he messes up again, she’s gone. Steve promises to behave, but when he hits the road with a vaudeville act, the showgirls are just too tempting. Belle stays true to her word and goes back to Willie and gets her job back singing in his nightclub. Steve works his way up to a championship match, but without Belle’s support, he gets depressed and starts hitting the bottle. On the night of the big fight, Belle goes to the match hoping to see Steve get knocked out. But as the fight progresses, Belle realizes she still does love him. 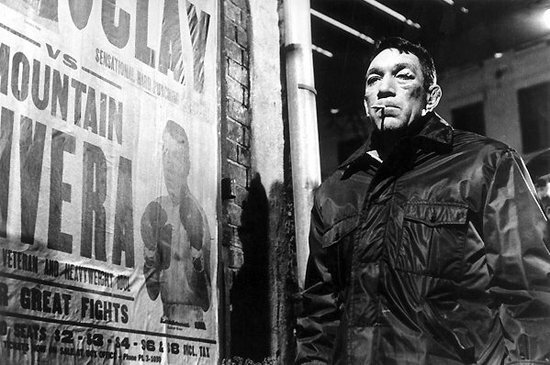 The Prizefighter and the Lady was a pretty darn engaging film. In regards to Myrna Loy’s career, I’m not sure why I haven’t really heard much about her work in this movie because I thought she was great in it. She made a very sympathetic wife and her quip, “Mother said there’d be days like this,” as Belle is helped out of the car wreck is pure Myrna Loy. 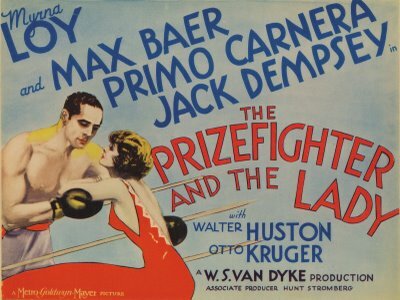 I loved that so many real-life boxers like Max Baer and Primo Carnera appeared in it; the fight scenes were terrific. My only complaint about this movie was the musical number. Yes, there really is a musical number in this movie about a boxer. 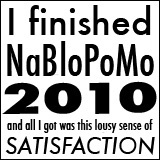 It didn’t add much of anything to the story and it just slowed down the whole thing. Other than that, though, it’s a great movie.